After a nail-biting wait, reviews are coming in! There will be a total of 15 this month to tempt your reading taste buds before the big release day! Check out each day of the tour for interesting posts, giveaways, reviews and contests! The first thing I liked about The Sapphire Talisman was the fact that Nicholas finally revealed some of his secrets and so did Julia. Finally things were out in the open between those two. I felt like they could finally grow because they knew everything about each other. Then things took a turn for the worse. Obviously I'm not going to tell you what happened but I will say that their relationship went through the worst situation it possibly could. I was shocked at everything that happened in The Sapphire Talisman and the wait for the next book is going to be even worse. The action in The Sapphire Talisman took off from the very first page and didn't slow down at all. 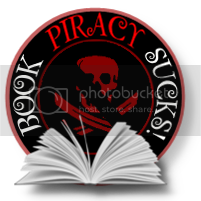 By the time I got to the end of the book I was biting my fingernails and hoping for the best but knowing it was going to be bad. I was just really glad that there was some closure between this book and the next. The wait will still be bad but at least I know some of what is going to happen. Overall, The Sappire Talisman is an amazing book and the best possible sequel to The Emerald Talisman that I could have imagined. The Talisman series is one of the most unique vampire stories that I have read and Brenda Pandos is an amazing author. I know that I will love whatever she does next. And review #2 from Eleni at LaFemme Readers. 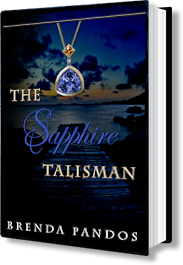 The Sapphire Talisman was an enticing and compelling follow up to The Emerald Talisman. Brenda's flow of writing has developed since the first book. Her artistic potential and storytelling skills succeeded in formulating a wondrous continuation. The unexpected plot twists and defined characters helped me once again get lost in Brenda's creativity. This time around, Nicholas and Julia switched roles. Instead of Nicholas protecting her, Julia turned into a feisty and courageous young lady. In the hands of Alora, a malevolent vampire, Nicholas succumbed to his half vampire darkness, leaving Julia to fend for herself. However, before evil fell upon him, Nicholas had a heart fluttering likability that I felt lacked in the past. The relationship between the two blossomed into a sweet and tight bond. I must say though, I was amused by his change and actually preferred the evil version better. I'm so excited and thrilled. Thanks Katie and Eleni for a heartfelt and honest review!